Humans have experienced fear and terror in varying degrees since the first cavemen heard something stirring in the dark, but I'd argue our ancestors never had the chance to experience what it's like to truly be scared. Only those who've been alive in the past couple of decades have had the chance to experience what it's like to face what may be the purest form of dread and panic possible: watching your battery slowly die with no outlet in sight. When people are put in an infinitely stressful situation like this, it's only natural for them to turn to some solution -- any solution -- they'd normally never consider in less treacherous times. In these moments, we are truly tested. And even though some of the solutions below probably only deserve partial credit, it's safe to say everyone passed the test. On the plus side, he'll be slightly safer if a tornado happens to hit his hotel while he replies to emails. 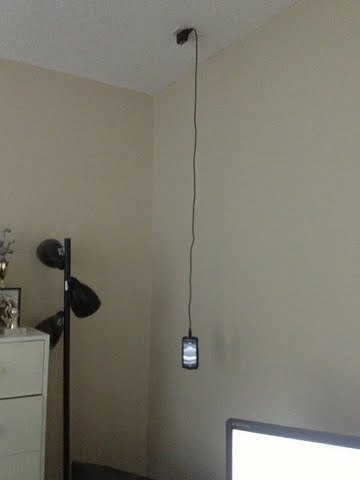 Having a fully charged battery doesn't really matter when your phone stops working after falling five feet to the ground. 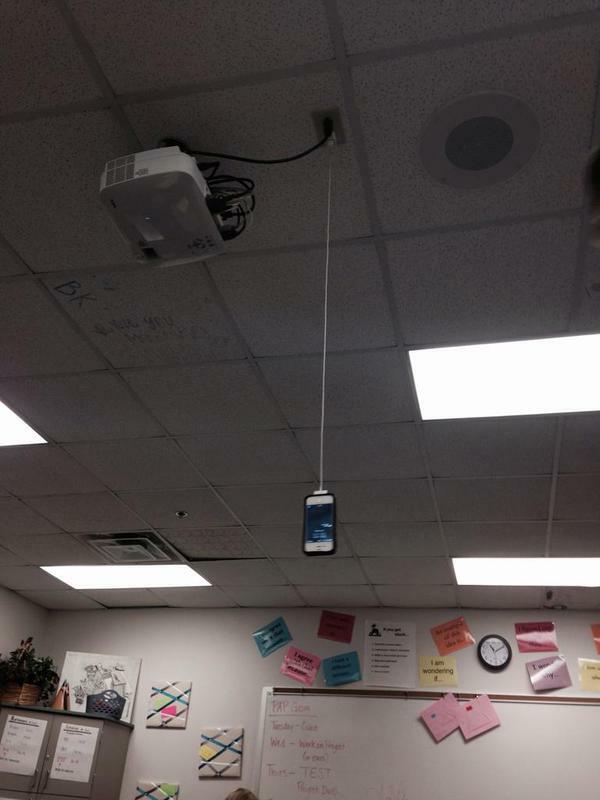 A phone hanging from the ceiling seems like the weirdest part of this picture until you realize someone decided the ceiling was the best place to put that outlet. A portable charger getting charged? Feel free to come up with your own [Blank]ception joke. I've got nothing. I don't think it works like that (unless the adapter market goes a lot deeper than I could have ever imagined). It would appear dogs and humans both resort to the same pose in their most vulnerable moments. I think I'd still somehow prefer the situation in the last picture to having to charge my computer in a public bathroom. Don't mind her -- she's just been really, really appreciating that piece for the past 30 minutes.